Ok, remember the ‘landscaping’ with the hula hoop? Well, it’s coming along nicely! I am rather pleased, and actually snapped a photo of the gourds themselves, which have become enormous! Fall is on it’s way, so some of the leaves have shriveled. I wondered when the gourds would be ready to pick. Well, it was a no-school day today, so the school agers on-site hastened the process. Their active soccer games knocked a fair amount of gourds off the fence – grrrrrrrr. 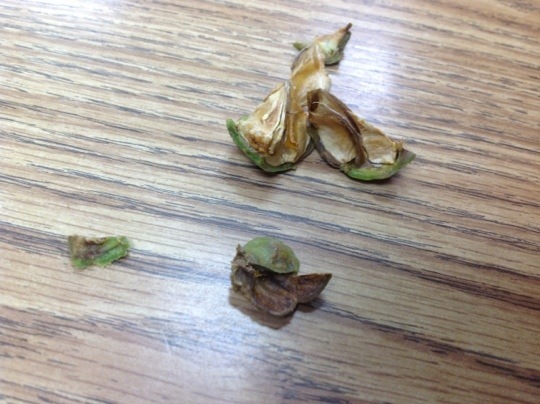 Two split open, but I didn’t take a photo, I just chewed out the kids who did it. Did I update everything? Any loose ends out there? 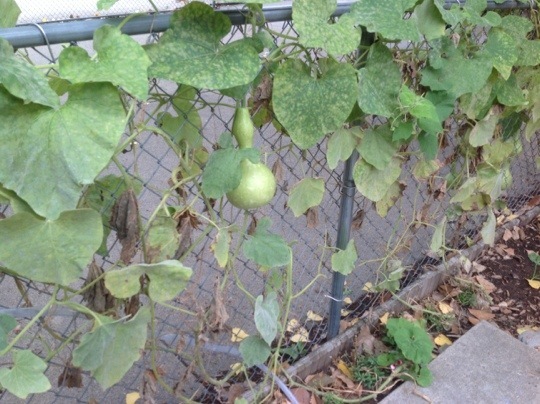 Do you have plans for the gourds once they are ripe/dry? 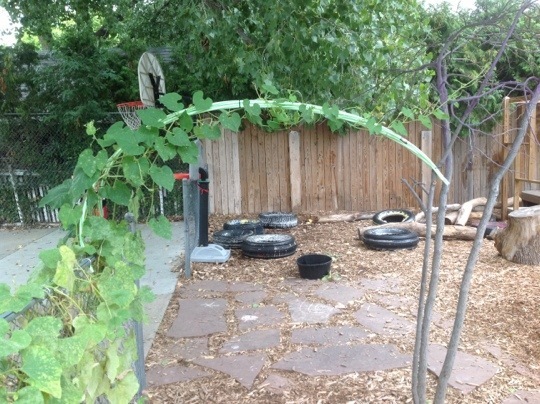 Ooo….I love the hula hoop archway! Maybe you could incorporate it into preschool graduation.